Rainleaf– silver she-cat with drizzle-like flecks and watery blue eyes by FROSTO! Midnightblaze- black tabby tom with white splotches and green eyes by RAINIE! Littlesnow – small snowy white tom with one black foot and deep blue eyes by RAINIE! Pineburr – reddish-brown she-cat with blue eyes by SANDY! Snowsplash- black tabby tom with white splotches and green eyes by FROSTO! Earn a point and help me come up with a name for this game! USfrost by SANDY & FLIGHTY! Brazilberry by FROSTO, ROBIN, & FALLEN! ummm what about different flower species? primrose, apple, etc. Flossdance by RAVENMIST and FLIGHTY! Join SandClan! A secret clan where you can play NTAs and more 😃😃! I’m dying, let’s get on with this. Sooooo…this game is all about (you guessed it) ALTERNATE TIMELINES! You will have to write a short scene about something that could have happened differently in the canon warriors timeline! I will give a new scenario each round and that’s it! Have fun! First place goes to FROSTO! Jessy was right in front of Bramblestar. Her soft brown tabby fur seemed to flutter in the breezeless air. I love you, Bramblestar. She’d told him that. But how could he choose? He had such a loving mate already. Squirrelflight was all he ever wanted – but now he had Jessy. He was the leader of ThunderClan, for StarClan’s sake! He couldn’t abandon them. After everything the Clan had just faced. They needed a strong leader. But what if he wasn’t that leader? No. He wasn’t a good leader. The Clans weren’t his destiny. He’d never be free of the name Tigerstar, as hard as he tried. Unlike Tawnypelt, who was mates with Rowanstar, the new ShadowClan leader. He’d always be the treacherous brown tabby’s son. This was for the better. He had Jessy now. He could finally be free of his father, of Firestar’s legacy and how he had to live up to it. A new, better cat would lead. He’d let the Clan decide. Maybe it would be Squirrelflight. Maybe not. He’d grieve later about leaving. About leaving his Clan forever. A traitor to everything he’d ever known. But for now, for once in his life, Bramblestar was free. Bramblestar moves away to Twolegplace. Squirrelstar is heartbroken, appointing Lionblaze as deputy. She is never the same. She never has kits, losing her last life in a battle with ShadowClan. Jessy goes on to have three kits: Squirrel, Tawny, and Jay. Tawny later leaves, joint ThunderClan as Tawnynose. Squirrelstar sees her beloved mate in him, and she later becomes leader. I really like how you included Seedpaw and Bramblestar’s old worries about being like Tigerstar, and Squirrelstar’s life after that was so sad! Second place goes to MAPLE! Jessy glanced nervously to the ground swishing her tail side to side, embarrassed and appalled that she had even considered telling the dark tabby tom how she felt about him. She was cut short by a glance from Bramblestar, who sat down beside her, and entwined his tail with hers. Smiling softly, Jessy glanced up at Bramblestar, love and hope glowing in her eyes. Resting her head on his shoulder, she purred softly as he lazy his head on top of hers. Rising to his paws, Bramblestar sighed. He had to go and confront Squirrelflight, and tell her he had made a choice. Jessy would join the clan and be his mate. Grinning at Jessy nervously, she nodded and smiled back, and Bramblestar slowly padded back to camp, worry squirming in his belly. How was he meant to say this ! When he finally lay eyes on her, his mate, well, former mate Squirrelflight, he quickly padded up to her, and tapped her on the shoulders, their signal that he wished to talk alone, away from the eyes of the clan. Taking a deep breath, he started to speak. Squirrelflight’s gaze turned to anger quicker then he had expected, and her ears drew back, pinned against her neck. The fur on her spine stood on end, and her muzzle was drawn back in a vicious snark. Bramblestar took a step back, as Squirrleflight’s stepped closer to him in fury. But, his eyes narrowed, and he glared at her, lifting his head to he towered over the smaller she cat. His former mate laughed softly, her green eyes like poison as they bore into him. Flinching back at her use of his warrior name, Bramblestar wasn’t expecting it, as Squirrelflight’s unsheathed claws came down on his ear. It was only a small nick, but blood dripped down his fur. Bramblestar raced away from the dark ginger she cat. She was right. He had been an awful leader, and let his whole clan down. When he finally found Jessy amongst the trees, and reached out tentatively to touch his sore and bleeding ear. Shaking her paw away, he licked her affectionately on the cheek. And after that day, they were never seen again, and Squirrelstar became a fair and wise leader, alongside her deputy Whitewing. Whitewing is a really interesting choice as deputy and I love how Squirrelstar became a better leader than Bramblestar! Third place goes to POTATO! Bramblestar paced back in forth, his nest littering the floor. He had torn it in frustration, and from his tossing in the night. “Fox dung.” He snarled, why could this just be easier? He loved Squirrelflight, didn’t he? So why get worked up over a kitty pet! A.. a foolish, skilled, and beautiful kitty pet. As he tore the moss again, Squirrelflight padded into the den. 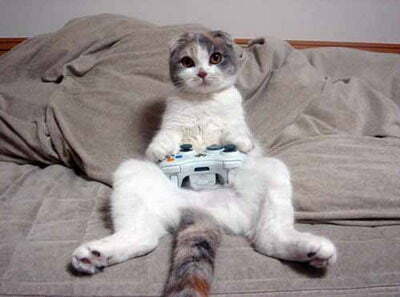 “Bramblestar? What’s wrong?” Her forest green eyes darted around the mess of a den. Her eyes… her fur… in the light she looked exactly like her father. A noble tom, and great leader. All while Bramblestar, who looked nearly identical to his father and brother, was forced to fill his pawsteps. “Bramblestar?” Squirrelflight took a nervous step towards him, “What’s going on?” As he was about to answer, Jessy came into the nest. “I know I’m supposed to ask, but I had something important to tell you.” She looked at the nest in confusion, and Squirrelflight wrinkled her nose. “What was oh so important, that you needed to barge into the leader’s den, huh?” She growled. “Don’t talk to her like that.” Bramblestar growled, his amber eyes dark. Squirrelflight looked at him in anger, while Jessy looked in admiration. Her smile erased all logic from him. “I’m leaving. Squirrelflight, you will lead ThunderClan, and you will always have my respect, but Jessy…” The She-cat thrusted her cheek against his, purring loudly. “Will always have my heart.” He mumbled into her fur, her scent intoxicating. Squirrelflight watched, heartbreak evident in her gaze. “Fine!” She snapped, “If you’re so sure, then leave.” Her hackles raised, she thrust her muzzle into his face. “But will have lost the respect of all clans, and me.” Fury blazing in her green eyes, she snarled and swung at Bramblestar. Bramblestar didn’t dodge, letting the blow score his cheek. Jessy looked furious, but Bramblestar lead her out of camp, and together they left with their tails twined. Like a single cat. Bramblestar changes his name to Brambleclaw, and has three scars across his cheek. He and Jessy have three kits, Flower, dark brown tabby she-cat with amber eyes, Falcon, light brown tom with black patches and pale gold eyes, and Vole, small dark golden tom with black stripes and bright green eyes. I really like that we get more of Squirrelflight’s temper that seemed so promising in TNP and the ending is really powerful! Another cat is the third in the three cat prophecy and they don’t have Dovewing’s canon power! Have fun and good luck! Honeyfern sniffed the honey, sneaking a lick before picking it up and padding towards camp. As she trotted away, a few bees started following her. “Oh! Uh, sorry guys, Briarkit has a cough. So, we need this.” She trotted off, flattening her ears against her head, but the bees continued to follow, the group growing larger. Honeyfern purred as she leaned into Berrynose, both of them absorbed into each other. Then, she heard a yowl and saw a snake darting for Briarkit. “No!” She shrieked, throwing herself in the way, preparing the sharp teeth and venom. Instead, she heard gasps and heard a roar in her ears. She looked up, and saw a swarm of bees stinging the snake. The snake was hissing furiously, and slithering towards its hole. “What in StarClan?” Graystripe’s jaw dropped, while Millie threw herself at Briarkit, scooping her up. Honeyfern watched the snake get closer to its hole, and growled. No! I want it gone! It can’t be in camp! My kits! The bees seemed to read her mind as they buzzed around the snake, and lifted it out of camp. The clan went silent, shocked and confused at this. Honeyfern stood up numbly, staggering on her feet. “Honeyfern!” Berrynose screeched, pressing against her. “What are you doing? You could’ve gotten killed!” Honeyfern shook her head, clearing out the, well, bees in her brain. “I,” Honeyfern gasped as a small bee landed in front of her, seeming to stare into her eyes, “I… was protecting my clan.” She went numb once again while staring at the bee, before being snapped out of it by Berrynose. “Your eyes, they turned white!” Berrynose backed up slightly, concerned. Out of the corner of her eye, she saw Jayfeather and Lionblaze glance at each other. “I need to have a look at Honeyfern, Leafpool, can you grab thyme for Briarkit?” Jayfeather nosed her into the medicine den, and she heard him mumble, “And Berrynose and Millie.” Honeyfern glanced around the den, her fur fluffing up. “What’s wrong with me? Will my kits be okay?” Jayfeather blind gaze seemed to stare into her eyes, and they both turned their heads to see Lionblaze come in. “Well?” Lionblaze asked Jayfeather, glancing at Honeyfern. “Honeyfern, we have something to tell you.” Lionblaze smiled grimly, his entire body flashing white for a split second, his claws sliding out, while Jayfeather’s eyes darkened until he looked like he could see. “You’re part of the Three.” They were in unison, and Honeyfern felt herself go numb once again. Honeyfern’s power is bee control! It was a power I saw a while ago, but it fits perfectly! And yes, Honeyfern DOES. NOT. DIE. From the snake. Her power is control over a sizable swarm of bees, but when she controls them, she loses most control over her body until someone snaps her out. Hollyleaf sprinted across the clearing. She knew. Sol had told her the truth. She had never been one of them, she had never meant to be part of this whole mess. She was only the messenger. One who could fix Hollyleaf when she was broken. Leafpool and Crowfeather were her parents, she was a mark on the warrior code, a mark that could spread and destroy everything she loved. And she could not let that happen. It hadn’t taken her long to figure out. Everytime she used her power, a little bit of what was good in her slipped away. She needed it gone. And that was why she would return it to its true owner. Sprinting into the camp, she turned to face the one cat she knew could fix her. Everything about her fitted in with the propechy, every word of it. And she had given up and placed the burden on another’s shoulders. Hollyleaf’s gaze narrowed as she saw the other she cat, an exact opposite of her, with a pure white pelt. Whitewing. Whitewing spoke softly, her voice quiet and gentle as she lead Hollyleaf out of camp. Why am I agreeing to this ! Hollyleaf though. She placed this burden on me, and she can take it back. When they finally stopped walking, Hollyleaf turned and pinned Whitewing against a tree, her claws unsheathed. Whitewing shook her head softly, closing her eyes and slipping out from Hollyleaf’s grasp easily. Walking away from Whitewing, Hollyleaf bowed her head, eyes glinting in the shadows. So not only was she half clan but she wasn’t even meant to exist ! She was never meant to be here. Her voice was quiet, partially with shock, but also sadness, for she knew that if there were all these other universes, in one there would be two brothers, who missed their sister, and spent all their time trying to find her. Somewhere cats were searching for her. And they didn’t have a Whitewing to bring her back. Hollyleaf sighed, shaking her head. It all made so much sense now she knew. But she didn’t want to be here, stuck as the fourth cat in a propechy that only asked for three. She had to go home, wherever that was. Whitewing’s eyes widened in shock, and she gazed at Hollyleaf, looking like she wasn’t focusing on anything. Taking a deep breath, Hollyleaf nodded. Whitewing stretched out a paw to Hollyleaf, and she took it without a thought. Hollyleaf vanished, and Whitewing heard a creaking in the trees behind her, and one slowly began to fall. At least the consequence wasn’t that bad. This time. She had to fix it. Hollyleaf had to go on existing, otherwise cats would start to ask questions. 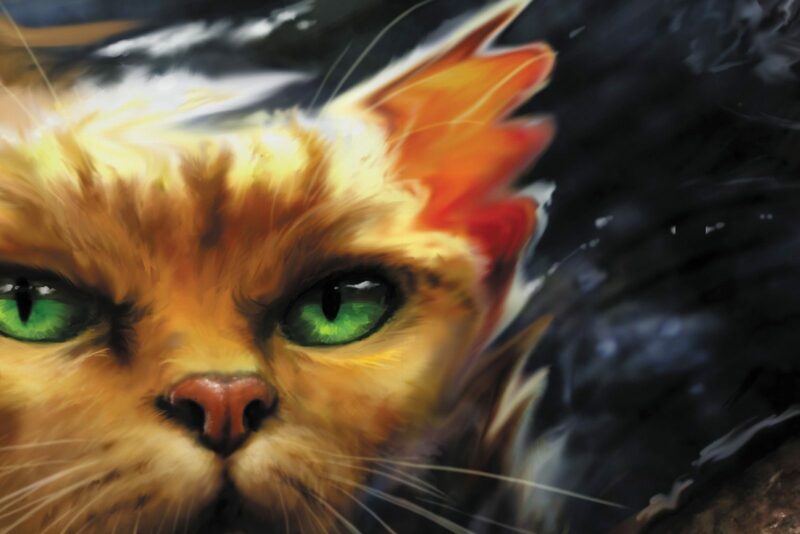 There was only one other cat who knew about her power besides Leafpool and Squirrelflight. When she had tried to run, he had comforted her. She had to hide another Hollyleaf with him, so he could teach her everything that had happened in the world that she needed to know. All she needed to do was bring the new Hollyleaf into the tunnels, and disappear. Hollyleaf was back, but she was different. She knew Ashfur and Squirrelflight as her parents, and that Brambleclaw was a warrior of RiverClan, and her mother didn’t have a sister, but a brother named Spottednight. But it would work. Fallen Leaves would work it out, and everything would be fixed. It would all work out some day, but for now, she needed to admit it to Lionblaze and Jayfeather. She would fix this mess she had made. Whitewing glanced around, standing next to Lionblaze and Jayfeather, her head lifted with pride. She has been able to delay the Dark Forest until the clans were ready, but at the cost of Firestar’s last life. Bramblestar had only just arrived back from the moonpool, when she received the order from the other clan leader to let the Dark Forest in. And she did. But there was one last thing she needed to do. Rushing into the tunnels, Whitewing looked around, and a pair of deep green eyes caught her gaze. Not the pale green of Fallen Leaves, but Hollyleaf. Well, formerly Crowflight the medicine cat of ShadowClan, from a universe very different from Whitewing’s own. But now she was Hollyleaf. Giving her a nod, Hollyleaf emerged from the tunnels, and raced to find her brothers. She would die in this battle and return home to her family in her universe when she did. Suddenly, Darkstripe leapt at Whitewing, clawing at her face, and leaving a massive red mark over one eye. Holding her breath and hoping nothing went wrong, she gave the signal, making rocks appear above the tunnels enterance, and cats flooded out, attacking Dark stripe feircly. Whitewing smiled as she saw Ivypool and Dovedance rush past her. He kits had grown into strong warriors. One by one, the Dark Forest cats were herded into one spot, and Whitewing lifted her head, trying desperately to do what was practiced. Storm clouds appeared in the sky, and lightning stuck a massive tree, sending it tumbling with fire and smoke down towards the cats. “DOVEDANCE !” Whitewing screamed as she saw her kit still fighting the doomed cats, and not stepping away as practiced. Just then, Hollyleaf leapt forward, shoving Dovedance out of the way, as the branch began to fall. It was perfect. Before the tree even landed, Whitewing pulled Crowflight or Hollyleaf out of this universe and back into her own. They would have missed their medicine cat. As the dust settled, Whitewing spotted a silver and white form by the fallen tree. It was Ivypool. The fiesty cat was laying, near dead under the tree, her tail completely crushed and back legs burnt.and the way she was pointing, she had tried to save Dovedance. This was the price she would pay. One kit who would have to struggle to be accepted and survive because one was saved. Many more cats were dead, because she had used her power to kill so many. But, there was one good consequence. As she stepped back, Whitewing spotted a tiny sapling, blowing side to side in the breeze. New theme: The Chinese zodiac!!! Also, Shadow, if you see this, which I hope/assume you will, to answer your offer on my secret page, yes, I’d love to have it!! But I saw that Spottedfern asked for it; is it still mine? Thanks! I AM NOT SAD 😛! Cool!!! It was my 本命年 last year, so I got a red hair tie. 🙂 Do you also do the thing wear you wear red the whole year when it’s your 本命年? Like Ravenmist, this is the depressed NTA. Life is depressing, right 😛? not you 😛. Whatever. I love ANY potato 😛! Make a fursona and personality for Sweetpotato!!! Bonus task: Teach me how to do bold, italic, strikethrough, and red text. ??? What do you replace the () with? hmmm, idk why that didn’t show up. You replace the () with . OK bassically the lesst than/greater signs, like, 44. They face that way, too. Sweetpotato: Large, slightly round ginger she-cat with brown points and pale blue eyes. (She’s based off a sweet portato fry, get it? 😛 ) She is sweet (duh 😛 ), thoughtful, and kind, but is often teased because she is the cat equivalent of “overweight.” She doesn’t tolerate this, and isn’t afraid to stand up for herself, nor is she afraid to stand up for her friends. However, she is extremely trusting and gullible, her kindness often turning into immediately trust. Shadow beat me to the coding stuff, but she meant that you should replace the parenthesis () with less than/greater than signs , which don’t seem to show up in my comment or Shadow’s.